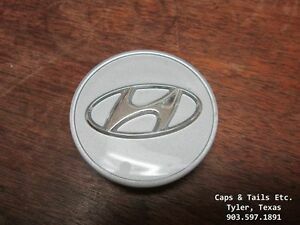 Hyundai Black Wheel Center Cap Accent Azera Tucson Genesis Genuine OEM 2 3/8"
Product arrived on time and fitted great in my Sonata alloy wheel like when new. Perfect match for the other 3 wheel centers. Received today and it snapped right in place ! Makes my whole tire look new ! Excellent item! Now my trick looks like new! The people of the WalMarts kept my covers after getting new tires... your product got me back in line! I was worried about the fit, but it fits great on my Kia wheels.